Bulgaria is a country with so much yet to be discovered by mass tourism, making traveling here a paradise for those seeking the few last remaining hidden gems in Europe. One may not associate the country of Bulgaria with castles (and truly, Romania’s castles have the edge here, as much as I hate to admit it), but Belogradchik Castle is truly the most beautiful of all the historical Bulgarian castles. 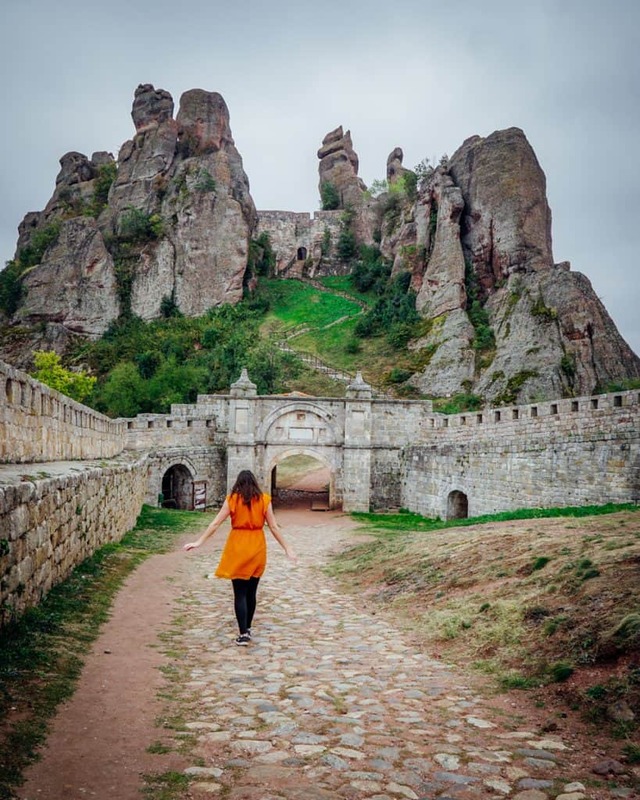 One of the places in Bulgaria that many people neglect to visit when planning their Bulgaria trip is Belogradchik Fortress, a beautiful fortification built into the impressive Belogradchik Rocks. Essentially, it’s a man-made fortress on top of a nature-made fortress and it’s basically a Bulgarian fairytale come to life. The Belogradchik Fortress has existed in some state or another for over two millennia. There was a small rampart created on the site of what’s now Belogradchik around the year 1 AD, using the natural stone terraces to make easier work of the fortress. The rampart was used primarily for defensive and observational purposes, as it occupied an important position between two Balkan passages, Sveti Nikola and Kadu-Boaz. Proof of Belogradchik’s age has been found in its artifacts, which support the historical record: coins from several different Roman emperors have been found as well as fragments of ceramics, foundations of walls, and spears and arrows made of iron. There is also some evidence of advanced understanding of controlling rainwater to create a reservoir, further proof of the advanced standing of this Bulgarian fortress even 2,000 years ago. The rampart was later fortified into a more proper fortress in the mid-14th century under the supervision of the ruler of Vidin, Ivan Sratsimir, who added two partition walls, a few additional buildings, a hanging wooden bridge, and stone staircases to make the fortress more functional. However, despite all these fortifications, it still fell to the invading Ottoman army in 1396. Until the beginning of the 19th century, not much changed. Suddenly, a renewed interest in restoring the fortress occurred, and the Ottomans enlisted the help of French engineers and Italian specialists in fortifications in order to enlarge and strengthen the fortress. Yet again, advances in fortifications couldn’t beat back the inevitable, and in 1878 during the Russo-Turkish War, an army of Bulgarians, Russians, and Romanians were able to oust the Ottomans. A few years later, in 1885, Serbia would make an attempt to also conquer the fortress, but they would also be defeated. Today, the Belogradchik Fortress is no longer a working fortress but rather a historical monument. It has walls measuring 2 meters thick (nearly 7 feet) and 12 meters (almost 40 feet) height, in addition to its natural fortifications of the Belogradchik Rocks. There are three fortified yards, each connected by a gate which could be blockaded to defend the fortress as needed. It’s now a little-visited but much-beloved darling of Bulgarian tourism. What About the Belogradchik Rocks? The Belogradchik Rocks may be just as interesting as the fortress that is nestled inside them. They are an entirely natural geological formation which span about 3 kilometers wide and 18 kilometers long (taking up an area of 50 square kilometers) in the heart of Northern Bulgaria. Each of the rocks protrudes from the earth in a similar fashion to what you may have seen in photos of Meteora and its monasteries in Greece. The rocks are massive, measuring from 250 meters to 620 meters in altitude. The history of the Belogradchik Rocks goes back all the way to the Permian period (that’s around 230 millions ago for all you non-geology nerds). The tectonic plates shifted quite a bit during this time, raising the ground underneath Belogradchik. During the Triassic period, Belogradchik became a shallow sea, and it was this sea combined with intense winds that would later give Belogradchik Rocks their unique shape. Gravel, sand, and clay eventually formed strata which got baked into large rock pillars, heated up in the dry climate as the shallow sea disappeared. This is when a mineral called hematite (an iron oxide) got incorporated into the rock, giving them their red hue. The sedimentary layers would grow to form these rocks over the course of 20 million or so years. 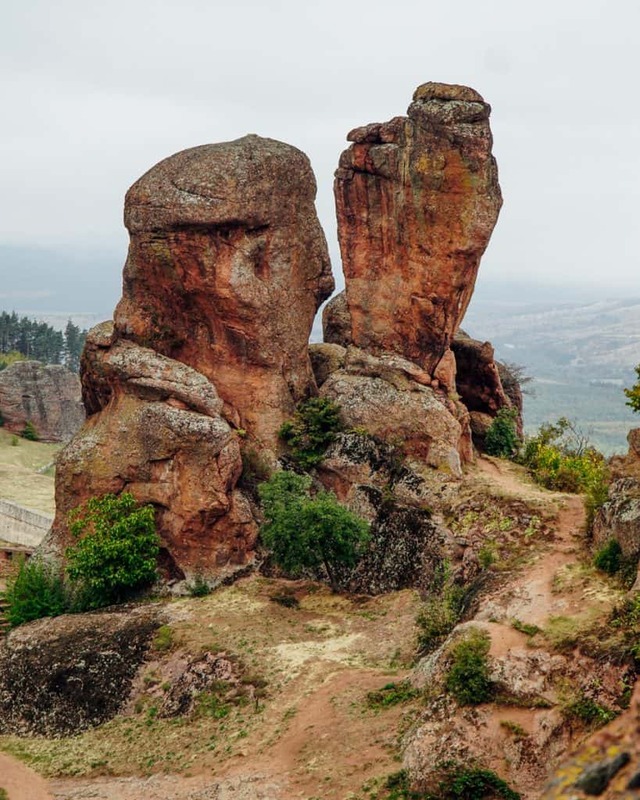 A particularly active geological period 40 million years ago created large folds in the earth (anticlines) which thrust up the Belogradchik Rocks even more dramatically. Erosion by wind and rain would create fissures in between the rocks and erode the strata vertically, creating the standalone pillars with nearly vertical slopes that we see in Belogradchik today. 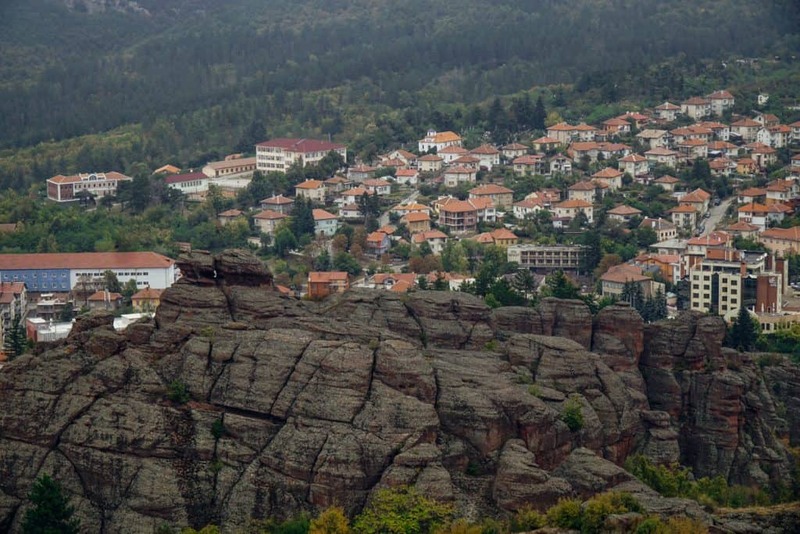 Where Exactly Is the Belogradchik Fortress? Belogradchik Fortress is in the very northwest corner of Bulgaria, quite close to the border with Serbia. 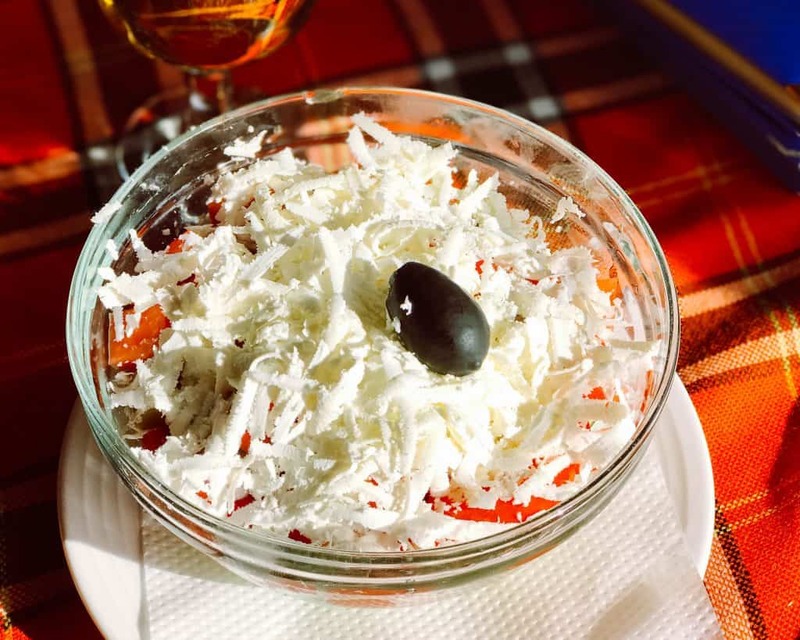 It’s actually quite separated from the rest of Bulgaria’s tourist trail, which is why I think many people don’t bother to make it part of their itinerary (their loss, your gain!). 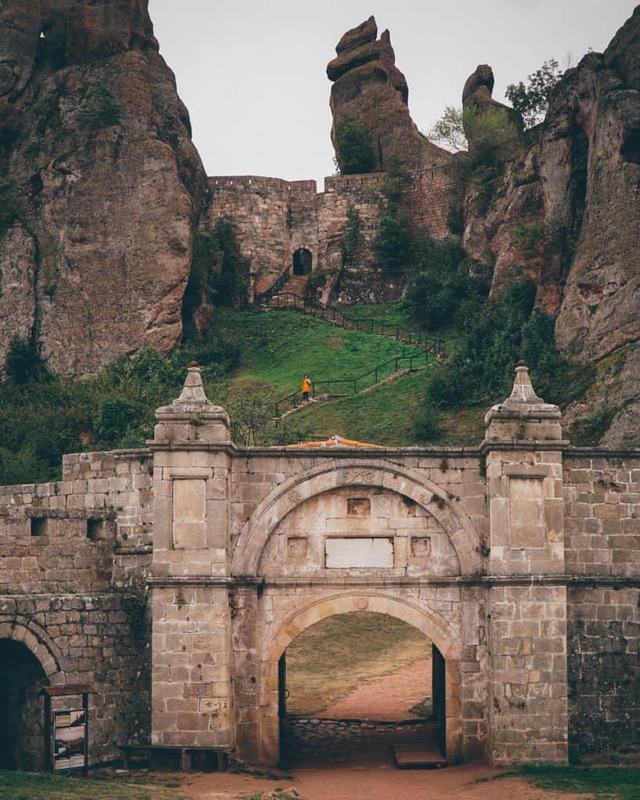 It’s in a small town called Belogradchik which is pretty much only famous for the fortress, which is why tourism is quite infrequent around here. In fact, even after doing nearly a dozen different day trips from Sofia, I had yet to visit Belogradchik until I did a road trip around Serbia and realized that if I stayed the night in Zajecar instead of Nis before entering back into Bulgaria, I’d be able to visit Belogradchik easily the next day on only a small detour on the way back from Sofia. While normally bus is the best way to get around in Bulgaria, Belogradchik is the rare exception where a train may be more handy. There are three trains per day to the nearby town of Oreshec. There’s one at 7:22 AM, one at 11:42 AM, and one at 5:00 PM. I’m not sure of the exact price but it should be somewhere around 10-12 leva (about 5-6 euros). It takes four hours. 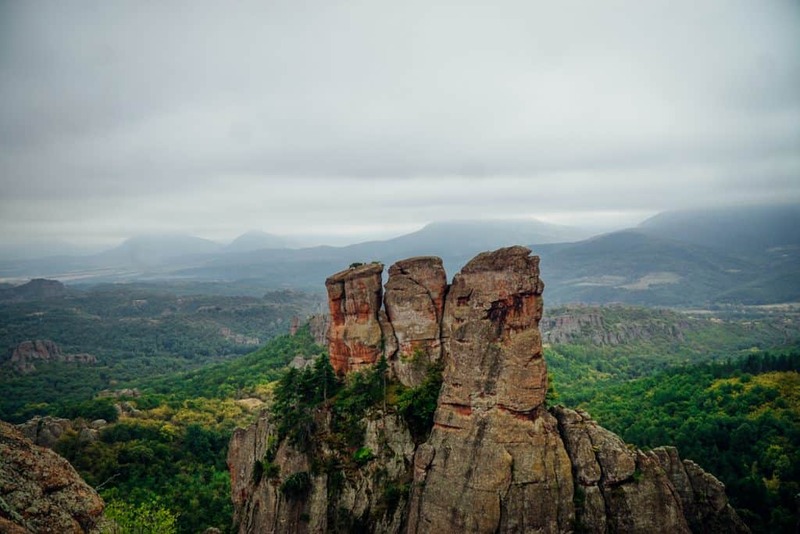 From there, you’ll need to then take a cab to Belogradchik. It’s only 12 kilometers, so it shouldn’t cost too much more than 15 leva. However, you may be a bit of a sitting duck at this train station, obviously a tourist who needs to reach Belogradchik, so don’t be surprised if taxi drivers try to overcharge you. There is a daily bus to Belogradchik proper on BG Razpisanie that has a transfer in Vratsa, and the entire route takes 4 hours. However, this daily bus is only at 4:30 PM so it is hard to do as a day trip, requiring an overnight stay. 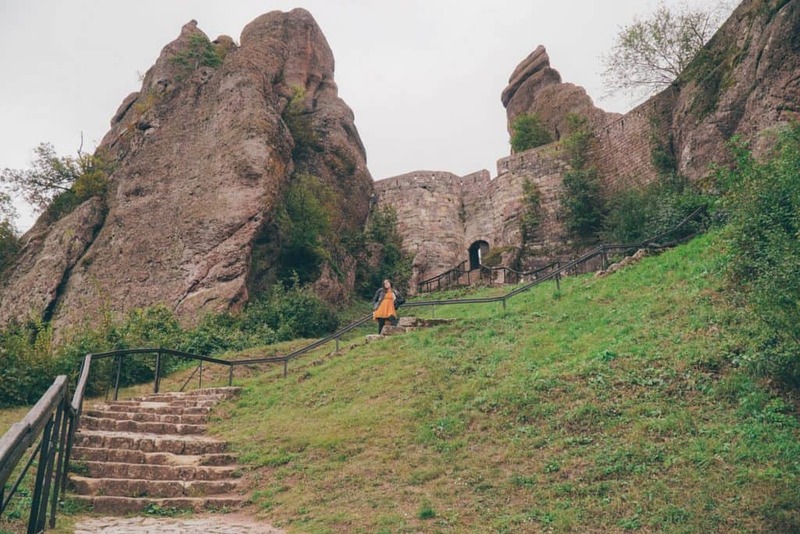 None of these are really stress-free ways to get to Belogradchik, especially as a day trip, so I’d suggest you to take a tour or rent a car, which is what I did. Be aware if coming from Serbia that the roads between Zajecar and Belogradchik are quite bad. It may suggest you route via Vidin; even though it looks longer, I would recommend this as it’ll likely be faster since you’ll be traveling on better roads. The easiest way, of course, is a guided tour. 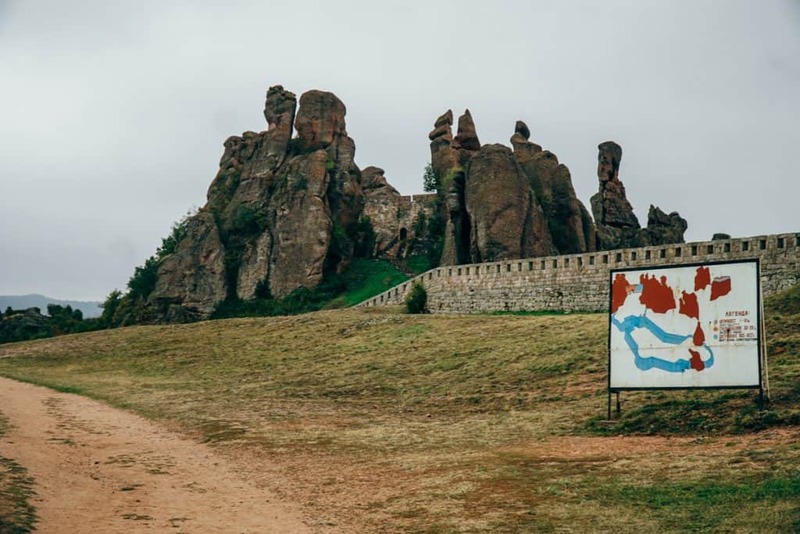 This tour by V Travel has a nearly perfect rating (4.6/5 stars) and includes not only Belogradchik Fortress but also the nearby Maguro Cave, the largest cave in the country. It’s definitely a much easier way to visit one of Bulgaria’s 7 Wonders of Nature, especially if you’re traveling solo or you’re not comfortable renting a car, and you’ll learn a lot on the tour as well. Click here to read user reviews, see prices and availability, and learn more about the itinerary. If you have a rental car, I recommend also combining a trip to Belogradchik with a trip to Maguro Cave, the largest of all the caves in Bulgaria. Another possibility would be to visit the city of Montana or the town of Vratsa, where you can hike to Skaklya Waterfall and explore the Vrachanski karst nature reserve. These are both on the way to or from Sofia. Belogradchik Fortress cost 6 leva (~3 euro) to enter when I visited in 2018. It is open from 9 AM to 6 PM in high season (April to September) and closes at 5 PM in the low season (October to March). 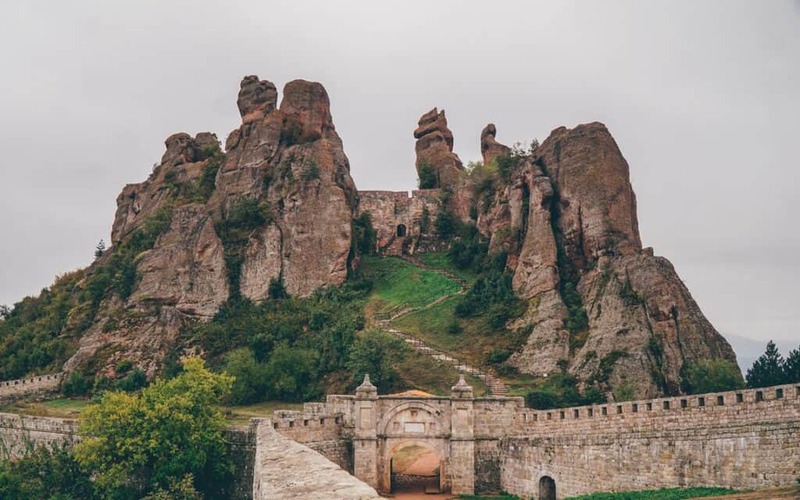 It’s located about 1.5 kilometers from the town of Belogradchik itself so everything is walking distance, albeit up a giant hill. Click here to read reviews, see photos & check prices/availability. 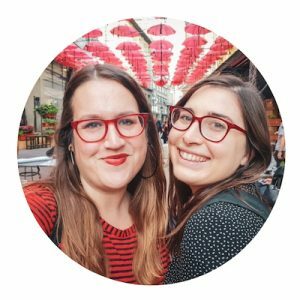 We have so much advice about Bulgaria! If you haven’t already, check out our massive guide to things to do in Sofia (we also have guides to the city’s best hotels to stay in, as well as the best bars and the best restaurants). We also have city guides for Plovdiv and Veliko Tarnovo, two can’t-miss cities in Bulgaria. We publish new articles and trip advice nearly daily! For more information about traveling to Bulgaria and the Balkans, bookmark our Bulgaria and Balkan travel pages, where you’ll find our entire archive plus anything new we publish before you leave for your trip. Make sure you always travel to Bulgaria with a valid travel insurance policy. While the country is safe, accidents can happen anywhere (especially when climbing giant stones and two-millennia-old fortresses with sketchy staircases). If you experience an accident or theft, travel insurance will help you recover your costs and enjoy the rest of your trip.